Seventeen year old Barnsley Cadet, Jessica Snaith, who has been a cadet with Humberside and South Yorkshire Army Cadet Force for four years, received a very pleasant surprise whilst attending a Cadet Leadership Course, at Frimley Park, in Surrey, the national home of the Army Cadet Force (ACF). 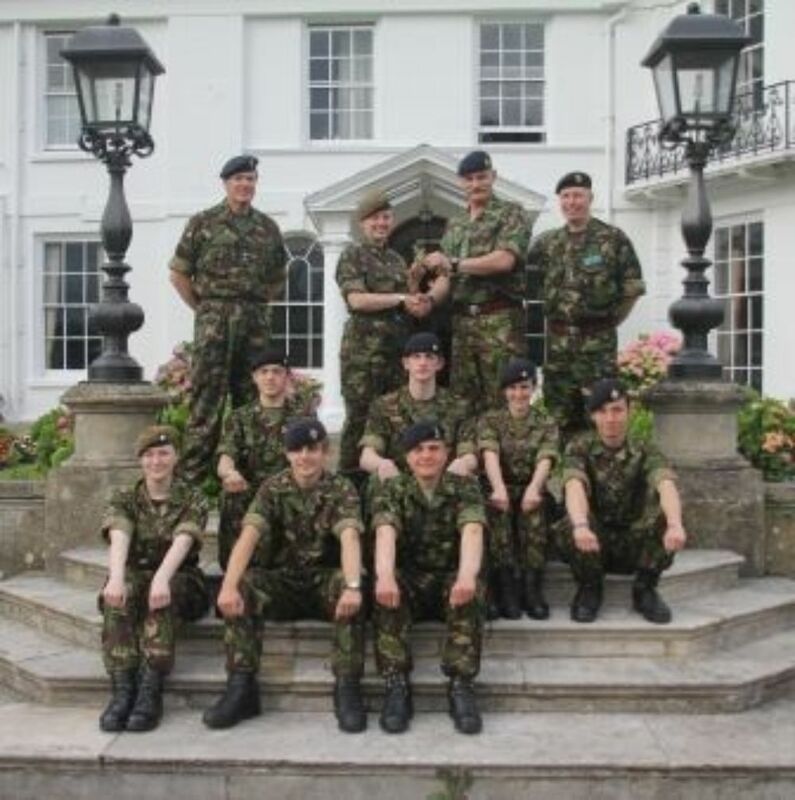 Jessica who is an outstanding cadet in her unit, and has represented the ACF internationally in shooting, was one of twenty cadets from the county participating in the challenging and demanding Cadet Leadership Courses which run every July. The cadets take part in a variety of activities including field exercises, leadership training, drill, sports and watermanship and they all enjoy, and benefit from, the training under the direction of Lieutenant Colonel Steve Clarke MBE, the Commandant of the Training Centre. During the week a Visitors Day is held and on this occasion one of the guests was Major General Colin Boag CBE, General Officer Commanding Support Command, based in Aldershot, and under whose command the ACF falls. 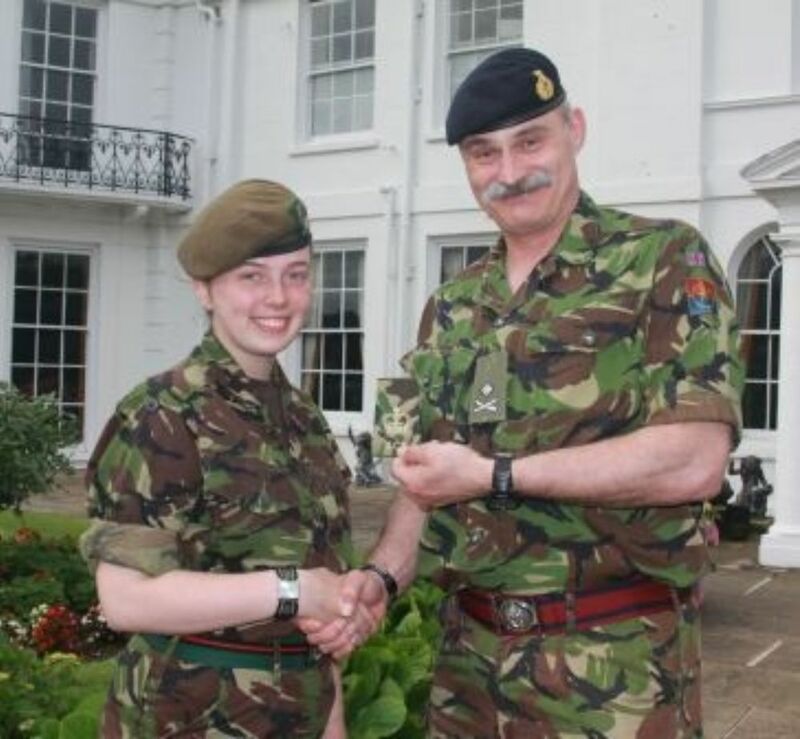 General Boag was delighted when Jessica’s Commandant, Colonel David Fuller OBE, who was also visiting, requested that he promote Jessica to Cadet Sergeant Major, which he promptly did, much to her surprise and delight. General Boag also took the time to speak with the other cadets attending the course and said how pleased he was to see the cadets and learn of their exploits, especially Jessica’s experience shooting in Canada with the Great Britain ACF shooting team last year. It was also his first experience of promoting a cadet, perhaps not the last! 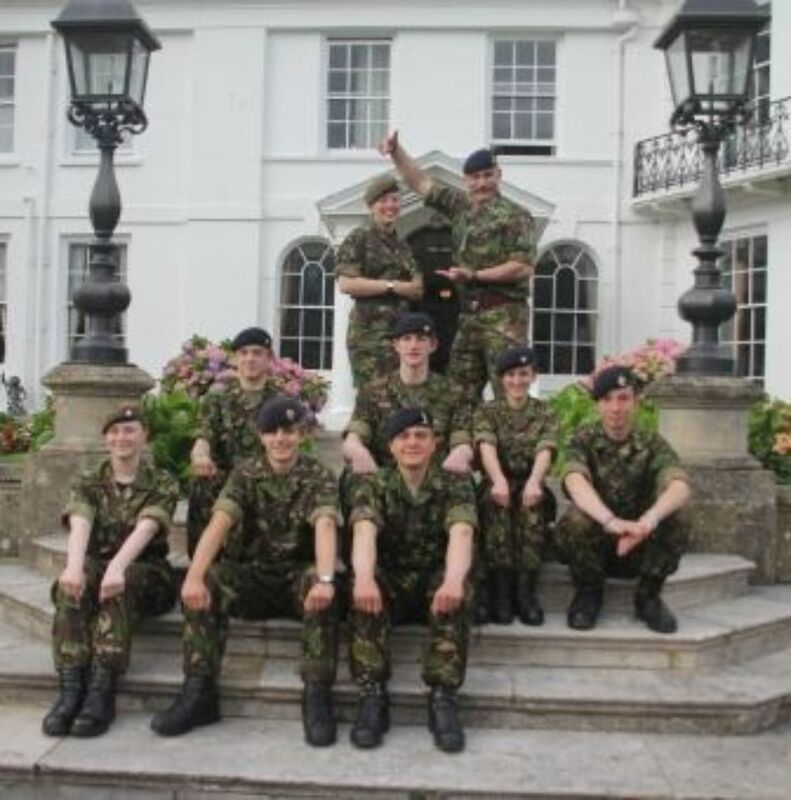 Army Cadets in the UK outnumber their adult volunteer leaders considerably and we are presently looking for interested adults who are willing to assist with the training and development of our cadets. This is to help the young people in your community, which will be of great benefit not only for our cadets but also for any adult who becomes involved. Find out more from the Volunteer with Us section of this website.